‘Maanagaram’ is the latest Indian Tamil-language thriller film directed by Lokesh Kanagaraj and produced by S R Prabhu under his Potential Studios whose previous movie was Maya. 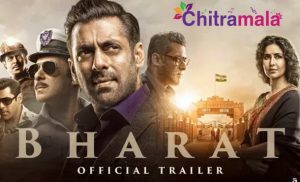 The same film was titled as ‘Nagaram’ in Telugu, and this Telugu version is also having a simultaneous release along with the film’s Tamil version. 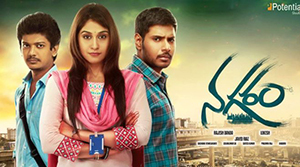 The film features Sundeep Kishan, Sri and Regina Cassandra in the lead roles, while Charle and Ramdoss play a supporting role. Check out our review of this movie here. As the title itself suggests that the film is happening in a city and something is going on in it, the same has been conveyed from the beginning itself. The film Nagaram starts off with a youngster (Shri) who lands up in Hyderabad with a lot of dreams to take up a job in an IT firm. On the other side, we are introduced to a happy-go-lucky youngster (Sundeep Kishan), who was in love with (Regina Cassandra) and is always ready to go to any extremes to win his love. To the same city, a taxi driver arrives to give better medical treatment to his son. All of a sudden, a kidnap in the city changes their lives, and all of them gets connected to each other. What happened after that forms the rest of the story. Sundeep Kishan has got the best role in the film, and he has given the finest performance in the movie. He is bold and vigorous and impressed the audiences.With this film, he is sure to make some market for his films in Tamil film industry. Regina Cassandra is good in the film, but she does not have anything big in the movie. Munishkanth with all his wacky one-liners is a master stroke and entertains in the film. Shri has got a righteous role in the film, and he was good as per the limitations of his character. The film is very intense regarding the technical aspects. The cinematography of the film is perfect. The nightlife of the city has been shown very well by the cinematographer. The music is top level in the film. The BGM has elevated many key scenes in the movie. Philomin’s cuts have contributed for the film’s gripping narration, and he did his job pretty well. The production values of Potential Studios are rich. The film has some brilliant writing from Lokes. The screenplay is a major highlight of the film. The story-telling is crystal clear and simple. The dialogues are good. The detailing of every single aspect is beautiful. The film Nagaram is different from the other routine films. There is a lot of good and interesting stuff that will appeal the audiences. The film Nagaram is surely going to bring some good name for Sundeep Kishan as an actor. Also, Sundeep Kishan was a perfect fit for the role he was offered in the film. The film has too many plus points and hence the few minus points will also be neglected. The gripping narration is what keeps us glued to the screens. The realistic approach to the film is another big plus point. The film falls flat at certain times but on a whole, the film is going to be impressive for sure. Nagaram has its moments which are at the right places and it is an engaging movie.